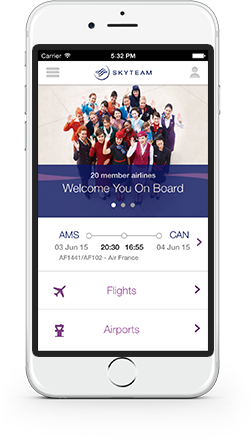 Amsterdam, September 24th, 2018 – SkyTeam, the global airline alliance has launched a new metasearch tool on its website making it easier for customers to plan and book trips on all 19 member airlines. SkyTeam is the first airline alliance to offer a comprehensive flight search tool that harnesses the full scope of its global network, showing real-time availability, schedule and pricing information across 1,074 destinations with clearly displayed results all in one place. The metasearch aggregates all the flight options for the customer from the 19 member airlines, which are then all displayed on one page.